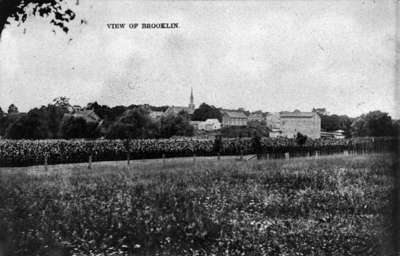 A black and white photograph of Brooklin looking west from Church Street and Albert Street. The church steeple is that of the Methodist church. The frame building to the right of the steeple is the Masonic Hall. At right is the Brooklin Mill. Top Centre: View of Brooklin.